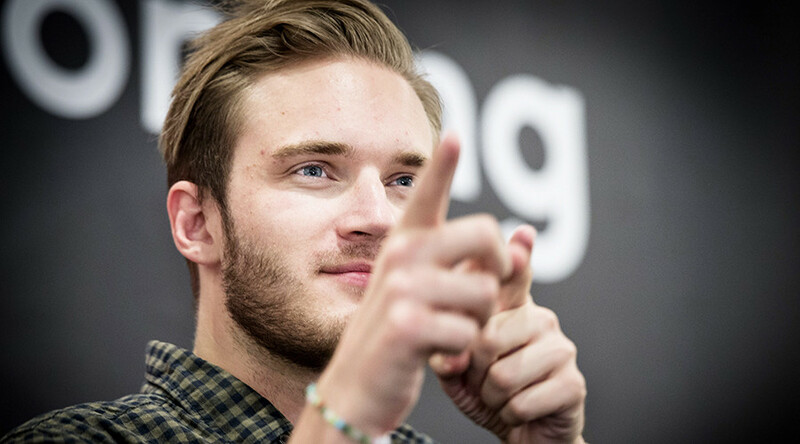 PewDiePie claims the Wall Street Journal personally attacked him in an article they published, causing Disney to drop him over alleged anti-semitism. The YouTube star criticized the publication, saying he expected such tactics from The Sun. In a video titled ‘My Response’ published on his YouTube channel Thursday, PewDiePie, real name Felix Kjellberg, apologized for a video he uploaded in which he paid two men to hold up a sign reading ‘Death to All Jews,’ saying the joke went too far. The vlogger said it was an error on his side credited to him being a “rookie comedian” who makes mistakes. Kjellberg hit out at the media in his response saying they only ever acknowledge him for his high earnings, despite it being of little interest to him. “Most internet personalities will agree with me that the media doesn’t like us very much,” he said, claiming “old school media” fears them. In particular, he attacked the Wall Street Journal who published an article detailing alleged anti-semitism in his videos. “This is not an article. This is a personal attack,” he said, criticizing an image the WSJ used of him in which his arm was raised, alleging this was done to suggest he was giving a Nazi salute when he was simply raising his arm. Kjellberg joked that he once respected the WSJ but that now they are using tactics similar to The Sun. “Nice try Wall Street Journal. Try again motherf**kers,” he said to the camera. Opinion has been split on the 27-year-old who has over 53 million followers on his YouTube channel and reportedly earned $15 million in 2016. Supporters were quick to point out that Disney have their own murky past. Critics, including Harry Potter author JK Rowling, have condemned Kjellberg, sharing a story comparing him to a fascist.